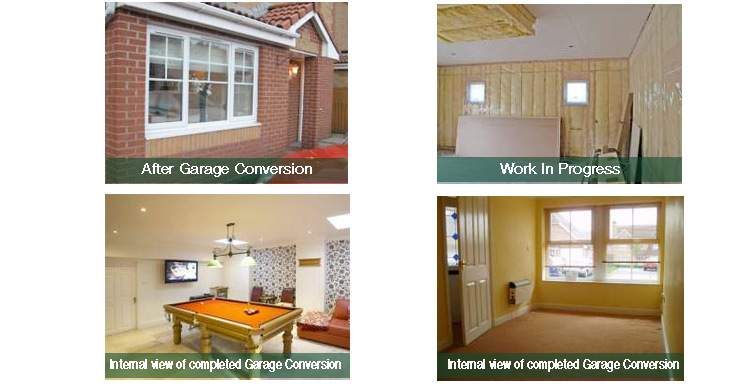 Garage Conversions - The Economical way for UK Home Owners to add a new habitable room to their property. A Garage Conversion does not involve a change of use as such and UK Building Regulations will therefore only apply to the structural alterations involved and to any other building controlled works such as drainage. 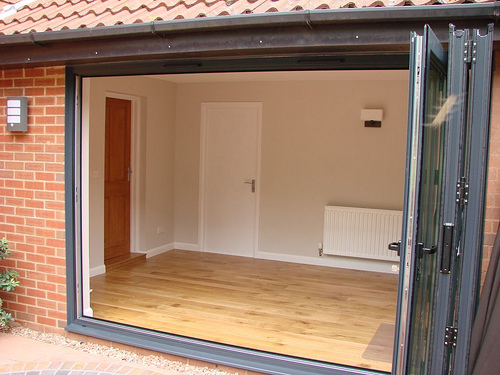 On many occasions a Garage Conversion does not require much more than the infilling of the existing garage doorway with a suitable construction. This most is usually largely made up of a window. Any infill will need to be supported by either foundations or suitable lintels. This is a structural alteration and thus requires building regulation approval. In particular care should be taken to ensure that suitable damp proof courses are incorporated to prevent water ingress at the new window reveals and where the new infill abuts the existing walls. In some cases the garage already has cavity walling and the works are therefore substantially reduced. If the existing garage has single leaf masonry walls with piers, however, it will require additional work to try to improve both thermal insulation and weather resistance. This can be achieved by building new internal block work walls, but these will need support and it cannot be assumed that the existing floor will be adequate to support the extra load. If this is the case it may be necessary to excavate new foundations, or expose the existing ones, to ensure proper support to the block work. The window may need to be suitable for means of escape if the room formed is an inner room. Any drainage will need to be considered e.g. is WC or shower proposed? If the roof is being insulated consideration should be given to venting the roof void. It may be necessary to insulate the walls and roof to habitable room standards. The wall insulation thermal performance ‘U’ value should be equal to 0.35 W/m2K, flat roofs to 0.25 W/m2K and pitched roof to 0.2 W/m2K. The ground floor should achieve a thermal performance ‘U’ value of 0.25 W/m2K. Examples of the types of construction that satisfy the standards can be found in the guidance notes on complying with Part L of the Building Regulations. 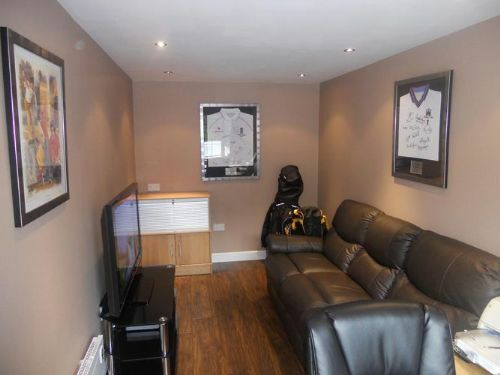 As garage conversion specialists, we can convert your draughty garage into a cosy, welcoming living space. Generally adding between 10 - 15% onto the value of your home. An area to use as a home office which is increasingly popular. We offer professional garage conversions in Tamworth and all of the surrounding areas.